Name-dropping is the practice of naming or alluding to important people and institutions within a conversation, story, song, online identity, or other communication. The term often connotes an attempt to impress others; it is usually regarded negatively, and under certain circumstances may constitute a breach of professional ethics. When used as part of a logical argument it can be an example of the false authority fallacy. Exactly. Why wouldn't you. You know everyone in the soccer community. GO SPARTANS! My sincerest of apologies. Misinterpreted your post "pronouns" and wasn't sure of the "he" you were referring too. Gotta stop sniffing that glue, guess. Ha ha. Wow. Obviously you were there and saw the incredible “top spinning” (sarcasm font needed). So what did he do in 2003, 2004, 2005, 2006, 2007, 2009, and 2015? Note: if you are going to talk smack about someone, at least get your dates right. With all of the coaches you know, you have never seen one pitch a fit? And no... Webb didn't lose. Carson Newman has a new coach this past season, and made it to the NCAA championship match without "his players". Like in the movie miracle, it isn't the "best players" that make the best teams. It is the RIGHT players. So.... Even though Division 1 has A, AA, and AAA the TSWA just lumped all of Division 2 into one team. Poor. Very poor. So Alcoa gets FOUR players to the all state team, yet Baylor (which won state) and St. Georges (who also won state) get ONE a piece. What I want to know is how many of these signees actually play all 4 years (or even more than one season) at these schools. Too many players, sadly, either stop playing or transfer even after one semester. What would impress me is NOT when clubs post all of the Division 1 schools that there players are attending... what would impress me is to see these girls play all four years for a program. We put way too much emphasis on division and too little emphasis on the RIGHT program. Well, of COURSE you have an inside source... Doesn't take a rocket scientist to know to man mark a forward that scores goals. And the man worked here for 16 years, and even taught some of the girls who are on the team. Do you not think they would reach out to him? Wouldn't be surprised if he sent Coach Smith some insights, as well... for allegiance sake. A/AA Stronger than recent years? I stand corrected. Props to Merrol Hyde. Beating MCM and beating CCS are great accomplishments. Well done. Kick the private schools out! IT'S NOT FAIR! THE PRIVATE SCHOOLS NEED TO GO! Oh... Wait... Catholic: beaten by Alcoa Grace: beaten by Page ND: beaten by MCM CCS: beaten by Merrol Hyde CAK goes into overtime with Carter. 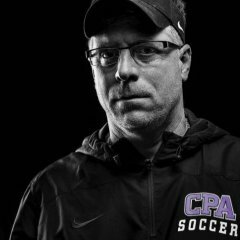 CPA goes into double overtime with Fairview.